So far BGCadmin has created 80 blog entries. Only 75 cents a Day! Seriously. In March we will begin sign-ups for the summer and 2019-2020 school year. Our membership fees have not increased for three years as we feel strongly that the Club should be offer high quality programs and be affordable for all families. Over those three years we have worked hard to raise additional funding to cover our costs. We started the Tahoe Brewfest, applied for endless grants and looked for support from our ever generous community. 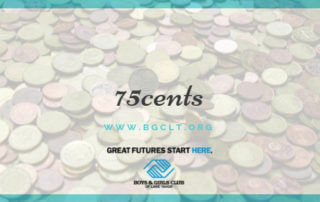 By BGCadmin|2019-02-14T12:54:56-07:00February 14th, 2019|Categories: Boys & Girls Club Lake Tahoe, Club News, Community News|Comments Off on Only 75 cents a Day! Seriously. 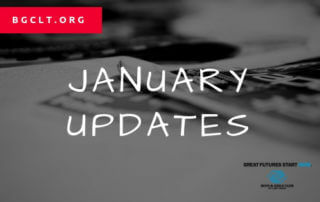 It is hard to believe that we are already a month into 2019, but so much has happened in January that for the staff it feels like it should be summer already! 2019 – the Year of Manners! For the last three years the Club has had a focus on social and emotional learning in our enhancement programs. In our mixed age, mixed gender and mixed school environment we provide the perfect situation for our members to learn team work, leadership, empathy, compassion and frankly, how to get along with each other. We love how students from different schools find friendship together here at the Club, and how programs such as Junior Youth of the Year encourage others to step up as leaders and come into their own. However, we still feel that as a whole our members could do better in the areas of empathy, kindness towards others and speaking and acting in a respectful way. By BGCadmin|2019-01-03T14:53:15-07:00January 3rd, 2019|Categories: Boys & Girls Club Lake Tahoe, Club News|Comments Off on 2019 – the Year of Manners! Every year we look back on all that has been achieved in the past 12 months and think ‘that was our best year yet’; and this year is no exception. The Club, our members and our staff have achieved so much in 2018 that it was hard to remember it all. But here are just the top highlights to remind us what a great year it has been. 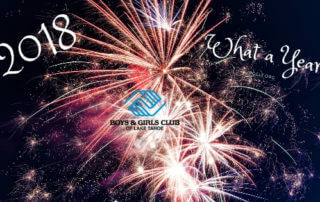 By BGCadmin|2018-12-28T16:38:58-07:00December 28th, 2018|Categories: Boys & Girls Club Lake Tahoe, Club News, Community News|Comments Off on WHAT A YEAR!